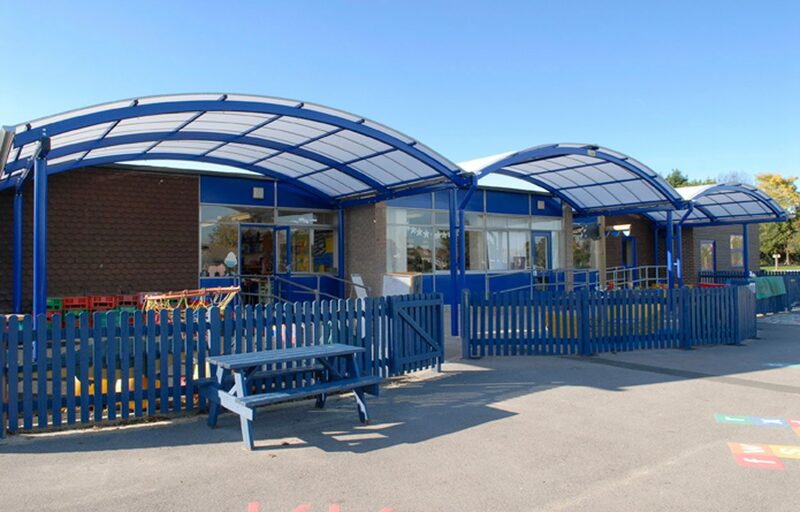 School playground structures fabricated for Barnham Primary School. 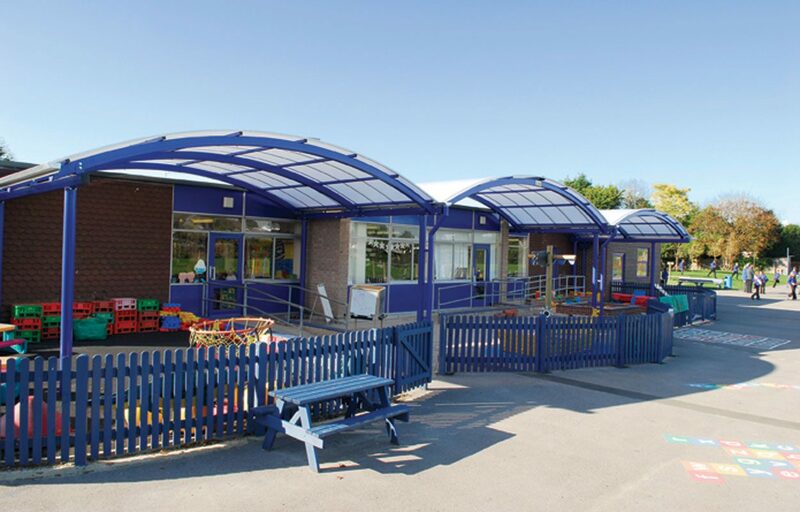 This school shelter is made up of three adjacent barrel vault style canopies spanning alongside an existing primary school building. 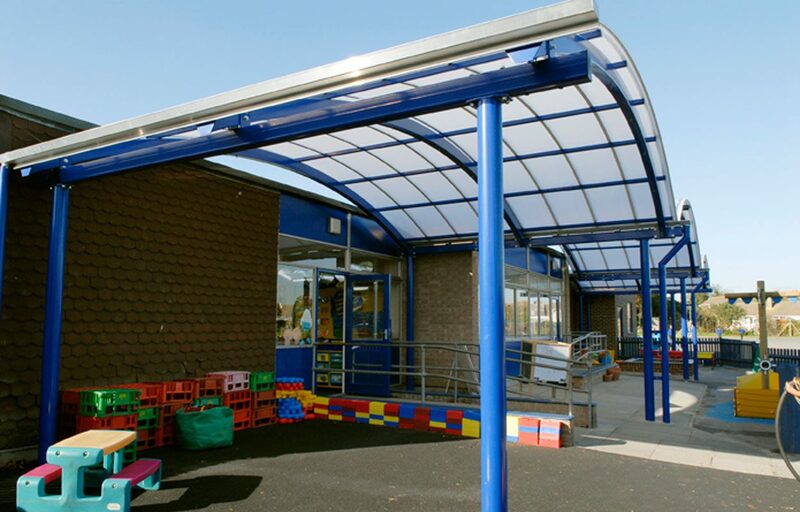 Providing a valuable outside learning and play space, this canopy protects children from the external elements. 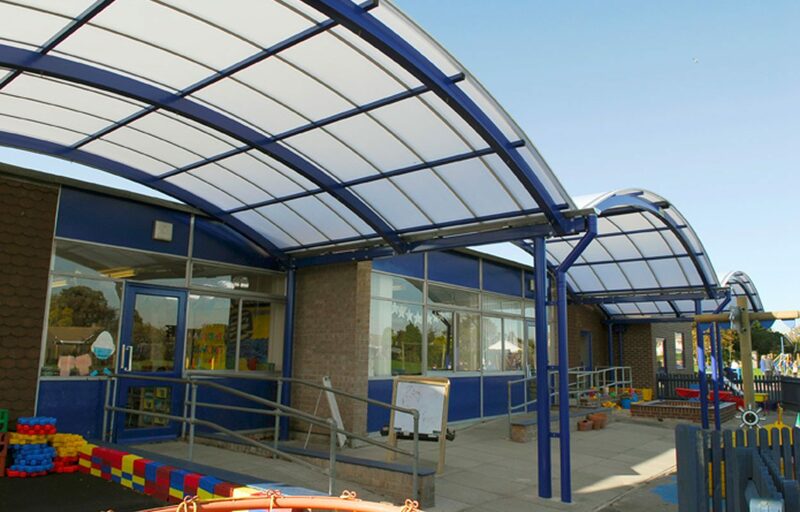 Classrooms are also kept cooler in the summer with this canopy, which acts as solar shading, reducing the need for air conditioning. All of our steel work is designed and manufactured by our in-house technical team, meaning precision in design and engineering and speed of manufacture for your convenience. 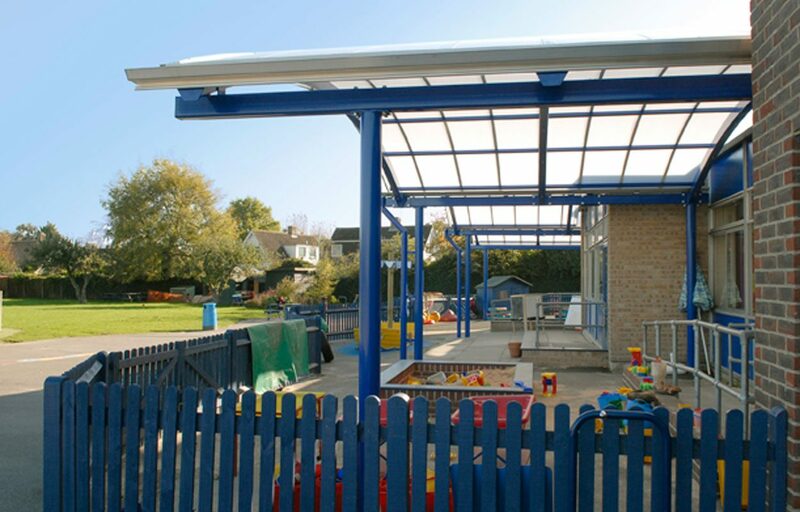 Fordingbridge is a fully CE mark approved manufacturer of steel fabrications.